traditional plaster, burnt cedar, etc. 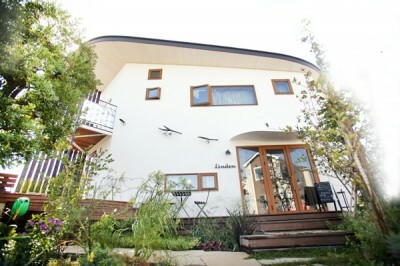 It is a house with a cafe & gallery on the hill top of calm residential area in Yokohama. 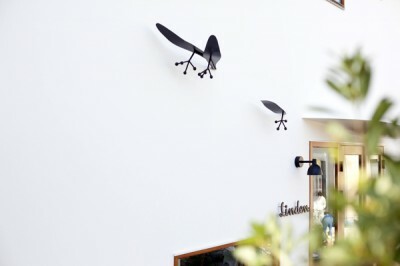 The cafe is named being inspired from a seed of Lindenbaum, which blews far away in the end of autumn. 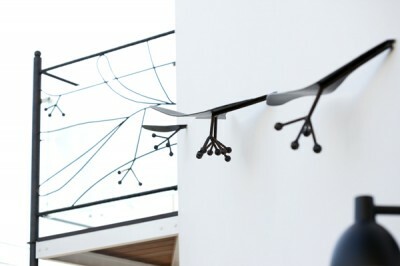 The facade is toward sunny southwest, spreading its wings of burnt cedar walls as like a seed of Lindenbaum, and iron ornaments, a motif of this seed, are also decorated on the white plaster wall. 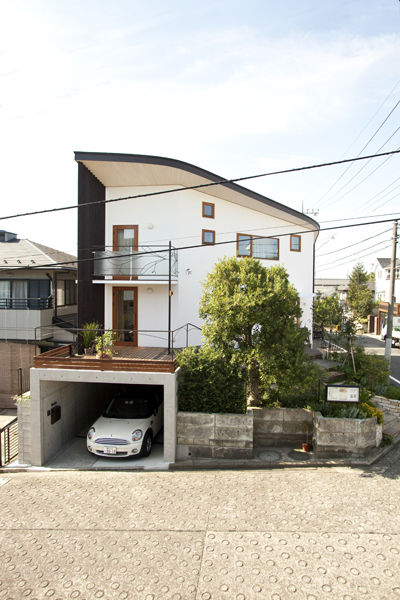 This house may welcome people who come walking up this hill.